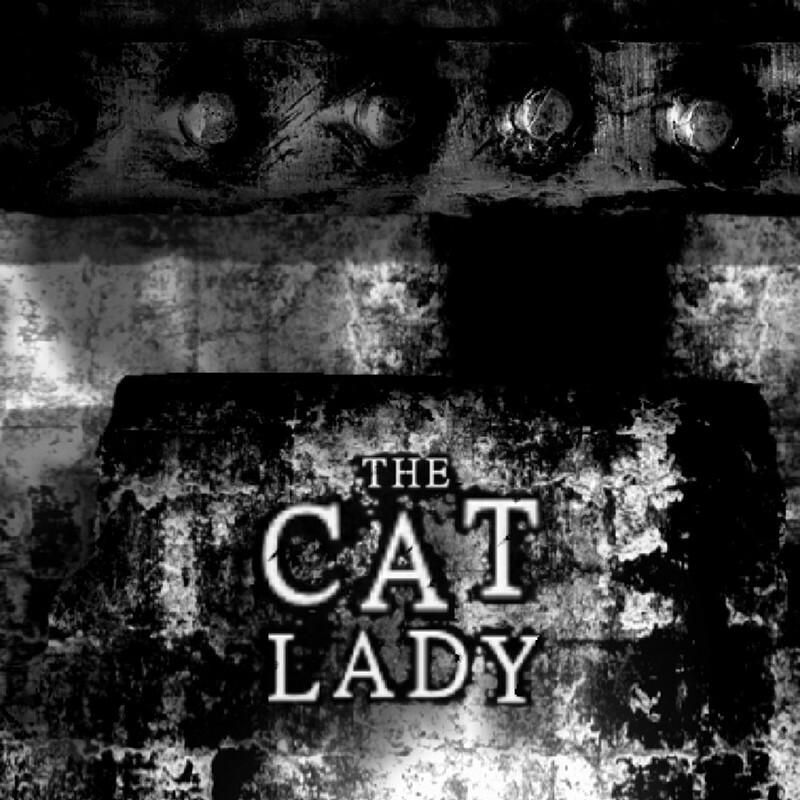 The Cat Lady by Harvester Games is a 2D point & click adventure puzzle game with a strong, mostly real-life, horror theme and was pretty damn good. It’s pretty dark and macabre too and deals with some heavier subjects like depression, suicide and, to some extent, psych ward abuse. As dark as it is, though, it also has positive undertones: even in the darkest, ugliest of worlds, there is light and beauty to be found, without which the game might have tipped over the edge into ridiculous, desensitized territory, but, as it is, the game is cleverly balancing the edge. The game starts with the main character killing herself, so be warned: if you think you might be triggered, this is not the game for you. I should add, though, that I do have a history of depression myself, but The Cat Lady treats the subject in a more gamified way than games like for example Please Knock on My Door (which I reviewed earlier and which has a clearly disparate aim), so it didn’t trigger me at all really, rather the opposite. The fantastic elements in The Cat Lady worked for me as a layer of protection. The Cat Lady is more of a game than a simulator (like Please Knock on My Door was) and, as such, it focuses more on “entertaining” you than educating you. That isn’t to say, though, that it just brushes over the heavier subjects; it doesn’t. So, the game starts with the main character, the eponymous Susan Ashworth, killing herself and, as she enters the underworld, she is met with an interesting offer. As a result, she returns to the living with a mission, and this is when the game really got me hooked (if it hadn’t already). I was actually quite invigorated by how much of a badass the main character becomes, like a badass avenging angel — or is she a demon? 😉. The game manages to deliver hope in all its gory bleakness. The voice acting is extraordinary, even the best I’ve heard in a long while. The story is well written with characters that aren’t just characters in a horror game. Take the friendship between Susan and Mitzi for example: it’s portrayed in such a sensitive, thoughtful way. They feel like real people, multi-faceted with the good, bad, and the ugly side by side, just like in real life. Some of the side-characters feel a little one-dimensional, written in just to provide a one-time function or used as an excuse to make a puzzle more involved or to say something about the main characters, like for example the professional babysitter. There is a slight use of the oh so common “mentally ill people are violent” stereotype (most commonly a character with schizophrenia or DID), which isn’t just false, but might also be hurtful if perpetuated. Does this mean we can never write characters who happen to be both mentally ill and violent? No, not necessarily (the two aren’t mutually exclusive): the problem isn’t so much that these violent characters exist, but that the inclusion of them is done in a way that it promotes simplistic thinking (for example when someone is being violent, there are often many factors at play, whether the person is mentally ill or not, but it’s reduced to having only one cause). There’s also the problem of probability: for example schizophrenia is not a common state of mind, and among those who are schizophrenic, violent behaviour is rare, so the likelihood of a character with both these traits appearing in a story is very low, statistically speaking, but, against all odds, here we are: I don’t expect the everyday schizophrenic to appear in each and every story (because it’s not common in real life either), but the violent schizophrenic does (despite it being even more unlikely). It is tiresome at best. The Cat Lady is in no way the worst example of this trope, but I guess I’ve become a little sensitive to the subject over the years — especially after seeing it in other games, which have treated the subject way worse than The Cat Lady does. All in all, I highly recommend this game. Posted in Indie, Review.Tagged 2D, badass, darkness, depression, friendship, gore, horror, indie, point & click, puzzles, sisters in arms, suicide.